Home / opensuse-en / owncloud / owncloud-en / transifex / translation / ownCloud Greek translation 100%. JOB DONE!!! ownCloud Greek translation 100%. JOB DONE!!! I might be the first one that started using ownCloud in Greece. Don't remember the version (I think it was version 4.x.x back in 2011-2012). My main contributions to the project are translation and promotion. For the past years I made many presentations around Greece. You can see my blog is full of tutorials. 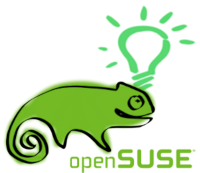 I also wrote documentation for openSUSE. Finally, I made a huge (in my opinion) contribution to Greek translation. The past few presentations and all the help I got from the community, I managed to engage more people to contribute to our community. I went to continue translation and I saw that it was 100%. Although I'm not the coordinator of translations, I would like to thank everyone who helped. Now it's the hard part to check for the quality of the translations and also keep the 100%. ownCloud community is pretty active and they change strings almost everyday. Michael K. 22 Απριλίου 2015 - 3:39 μ.μ. * Οδηγός προς ναυτιλομένους νέους χρήστες στο openSUSE.